Mmm these look so yummy! I love brownies with caramel! 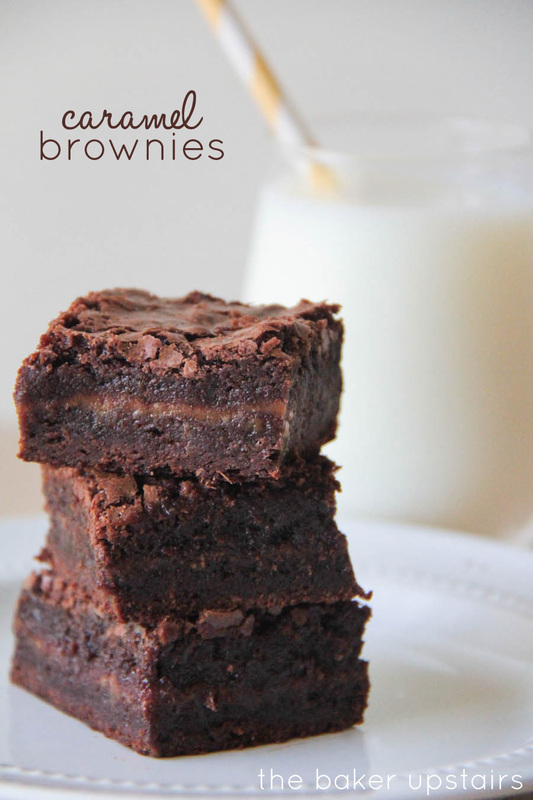 These look like the best brownies, ever! Love the texture! Hello Alicia, I am excited to try this recipe, my Husband loves brownies and I love finding new recipes to try, but have a question about the instructions. Do we bake the first layer of brownie for 20 minutes? then add the caramel layer then the top brownie layer for and additional 30 minutes? I'm confused about "after two minutes,"
Hi Julie! Yes, you are right. I should probably stop typing up blog posts late at night... :) The first layer bakes for 20 minutes, and then you add the caramel and second layer, and bake 30 minutes. I've updated the recipe. Thanks for catching my mistake! I see a cup of chocolate chips at the end of the ingredient list, but no instructions for them. Are they part of the caramel filling? Hi Kathy, yes the chocolate chips are sprinkled over the caramel filling before the remaining brownie mixture is poured over the top. Sorry again for all the typos! The recipe has been updated. 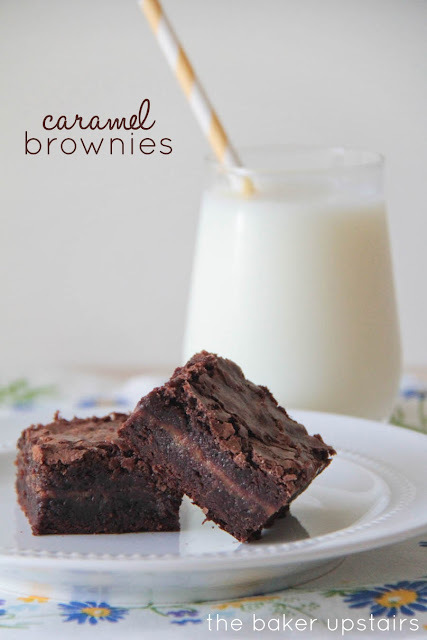 MMM caramel and brownies, my favorite!! Can you use a caramel sauce instead of melting caramels? Thanks for sharing a yummy recipe! I haven't tried that, so I can't say for sure. If you did it, I would recommend a thick caramel sauce (not like a thin ice cream topping caramel). Try it and let me know how it goes!